The stoppage of operations at Chevron’s damaged Crude Distillation Unit, which supplied units at the Richmond refinery responsible for 38 percent of the Bay Area’s total refining capacity, has been partially blamed for soaring gas prices across the state. Dueling visions for the city’s future could be heading for a day of reckoning with city voters in November. A Chevron Corp-backed measure to slash utility taxes for residents has paid hands fanning throughout the city on a mission to collect 4,000 signatures. Chevron’s plans to expand operations to refine a wider range of crude oil at its Richmond refinery have been halted by a California court. 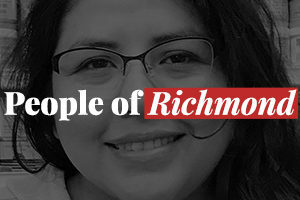 The Point Richmond Neighborhood Council is a small but well-informed civic association. On Dec. 30, they took on the biggest topic in town: Chevron Corp.
As a political and legal standoff between the city and its biggest taxpayer deepens, Chevron Corp. officials are hinting that their 107-year stay in Richmond may be in jeopardy.